Three Africans feature on Sheikh Zayed Book Award 2019 longlist announced on November 26, 2018. They are Egyptians Amro Al Adly and Ahmed Al Shahawi as well as Moroccan novelist Bensalem Himmich. 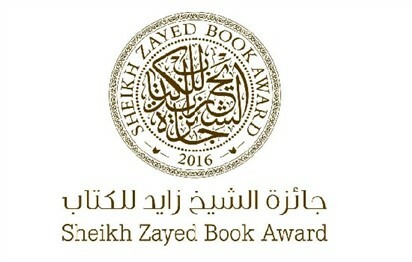 The Sheikh Zayed Book Award is one of the most well-funded prizes presented yearly to Arab writers, intellectuals, publishers as well as young talent whose writings and translations of humanities have scholarly and objectively enriched Arab cultural, literary and social life. The categories handed out are Cultural Personality of the Year, Children’s Literature, Young Author, Contribution to the Development of Nations, Translation, Literature, Literary and Art Criticism, Arab Culture in Other Languages, and Publishing and Technology. Previous winners of the award include Ibrahim Abdelmeguid, Abbas Beydoun, Osama Alaysa, and Abdel Rasheed Mahmoudi. The process for the 2019 edition kicked off yesterday as the longlist of those in the running for the awards were announced. The three of the thirteen longlisted, who come from our rock, have a novel, poetry and a memoir in the reckoning. Memoir: Al That Bayn Al Wujood Wal Eijad (The Self: Between Existence and Creation), by Moroccan novelist Bensalem Himmich (2018). The shortlist will be announced in March 2019 before the winner announced in April 2019. They will officially receive their award at an award ceremony at Abu Dhabi International Book Fair in May 2019. For details on the full longlist, we recommend our friends at Arablit.org. Next Next post: Dro, Tubosun, Masinyana, Ndlovu are Morland Writing Scholars 2018.